Happy Monday! Hope you had a great weekend! 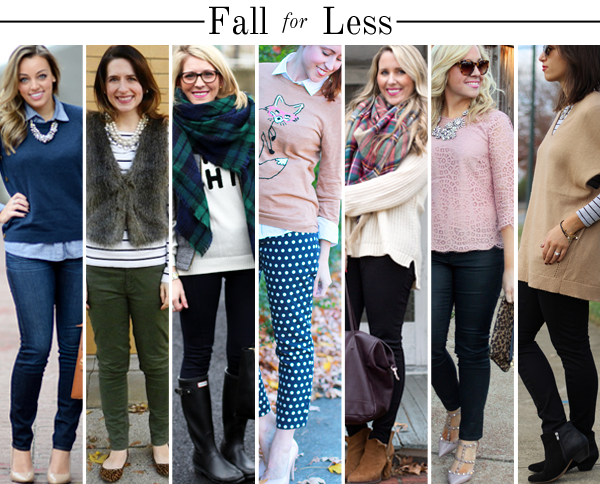 Today, I have teamed up with some other fabulous bloggers to show you how to dress for fall with a budget. 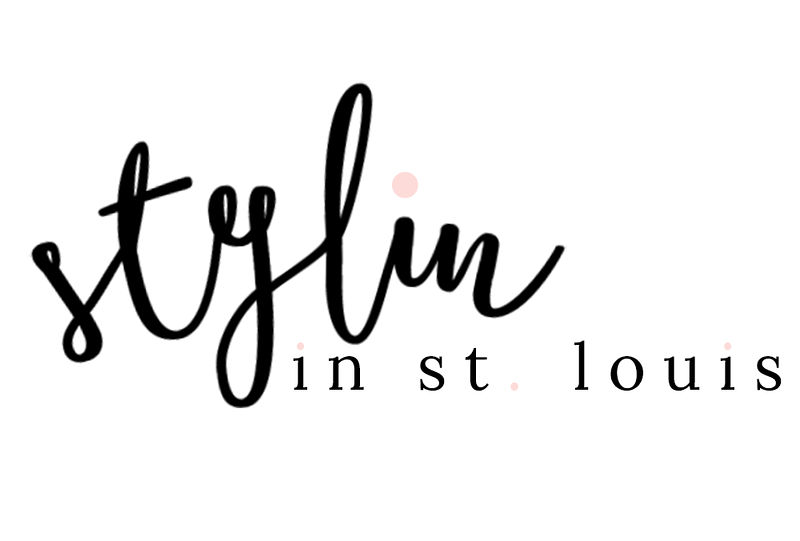 All the looks that are featured from each of us bloggers shares one item that is $60.00 and under! One of my main items that I want to share with you is this top! I scored it for under $60.00. I think I only paid $40.00 dollars for it! Almost every item that I have on in this look was under $60.00! These pants, I scored on sale a few weeks ago! The only thing that would not be included would be my shoes! 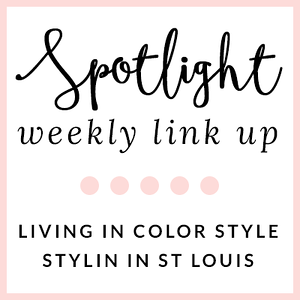 Be sure to check out these other fabulous looks below! I absolutely love the color of that sweater! The necklace is GORGEOUS. You look awesome and thanks for joining in the collab! Thanks Becky! Thanks for asking me to be part of it! Thanks Maria! 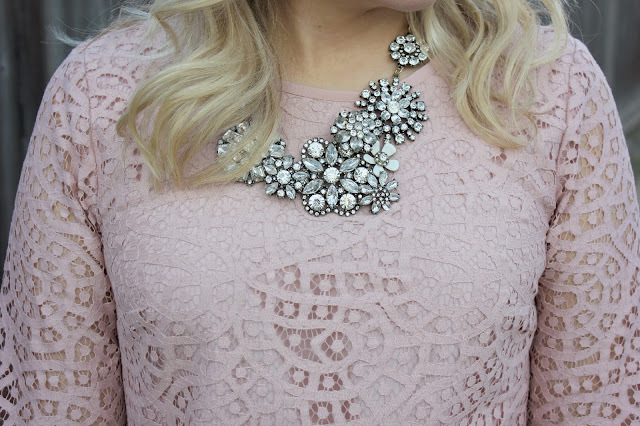 I love blush pink! My bridesmaid dresses were that color! So pretty! I love this, that top is ADORABLE! Gotta love Jcrew factory! J.Crew factory! Love when they have sales! That lace top is sooo pretty and that necklace is stunning! Thanks Sharon! I wear this necklace all the time! How adorable, love that top! That top is cute! And what a good deal. I love it! You look gorgeous! I love that top! Thanks for sharing all the other bloggers too! Loving this look! & I NEED that necklace!! I spotted your Valentino heels and hoped maybe this would have hints on how to get them for less :-P But that top is just as fabulous-- J.Crew Factory really does have some steals too good to pass up! I wish! I won a giftcard to Nordstrom! So I used that money to purchase them! JCrew Factory! Love it! you look so pretty girl. love that top! & that necklace, i have been dying to get it (so sad it sold out!). loved teaming up today! we should def doing it again in the future! Thanks Ashlyn! I agree, love how it turned out! Such a beautiful blush color!! Love the pairing Jacqueline!! Very pretty!! Love the entire look!! Especially that top. So glad we got to do this collab together!! Love all of this. That necklace is the perfect touch too, where did you find it? Thanks Cara! I got this necklace as a gift from one of my friends. She got it off Etsy!